Charlie Anne is devastated when her father must go north to build roads after the Depression hits. She and her siblings are left with their rigid cousin, Mirabel, and a farm full of chores. The only solace Charlie Anne finds is by the river, where the memory of her mother is strongest. Then her neighbor Old Mr. Jolly brings home a new wife, Rosalyn, who shows up in pants--pants --the color of red peppers. With her arrives Phoebe, a young African American girl who has also lost her mother. Phoebe is smart and fun and the perfect antidote to Charlie Anne's lonely days. The girls soon forge a friendship and learn from each other in amazing ways. But when hatred turns their town ugly, it's almost more than they can bear. 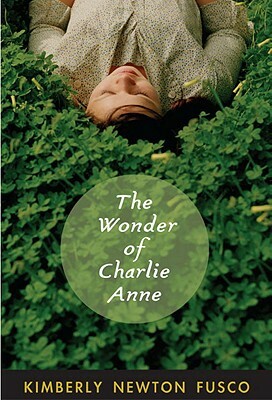 Now it's up to Charlie Anne and Phoebe to prove that our hearts are always able to expand. Kimberly Newton Fusco is the author of Tending to Grace, which the Denver Post called -a stunning story.- It received multiple starred reviews and many accolades, and received the American Library Association's Schneider Family Book Award for its empathetic portrayal of a young girl who stutters. It was also an ALA-YALSA Best Book for Young Adults, a Booklist Top 10 First Novel for Youth, an IRA Notable Book, and a New York Public Library Book for the Teen Age. Before becoming a novelist, Ms. Fusco was an award-winning reporter and editor for the Worcester (Massachusetts) Telegram & Gazette. She is a graduate of the Columbia University Graduate School of Journalism. Ms. Fusco lives in Foster, Rhode Island, with her husband and their four children. You can visit her on the Web at www.kimberlynewtonfusco.com. From the Hardcover edition.